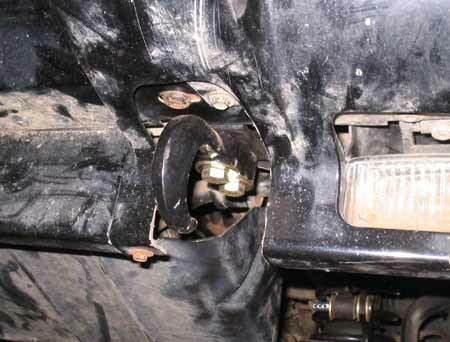 This write-up will cover the install of Custom 4x4 Fabrication's Tow Hooks and Brackets for my 1998 XJ. The idea behind this modification is because factory XJ's predominately did not come with front tow points, mine included. There are other alternatives to tow hooks (i.e. after market bumpers, winches, and front hitch receiver). I wanted to keep the cost to a minimum, not have to install a new bumper, and keep my factory skid plate. 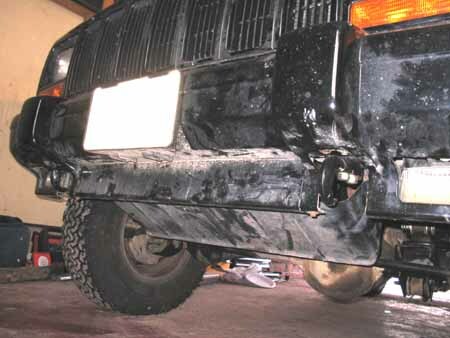 A hitch receiver does not allow the install of a front skid plate. 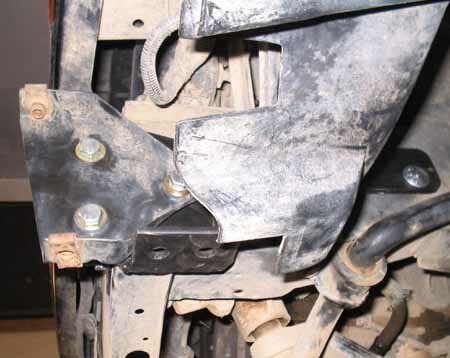 C4x4 tow hook brackets are designed to add strength by sandwiching the frame rail. If you want to see a picture of the brackets, click the C4x4 link above and look on their Armor page. The directions that came with the package gave us a general feeling of how the unit installed, but specifics were lacking. The slight variations of XJ models, in my opinion, is the reason for this. According to the manufacturer, no drilling is required for install, but possible fabrication of the end caps is needed. In addition to the end caps we had to grind a notch in the factory bumper brackets (this will be explained later). None was necessary for the install of the tow hook brackets. Work was completed in approximately 2.5 hours. 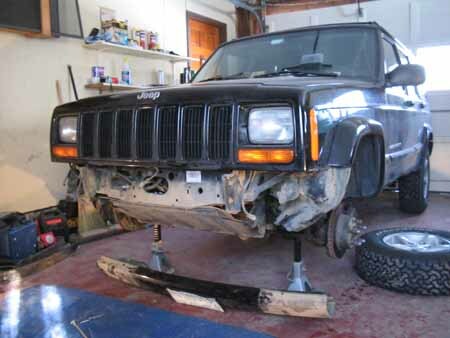 The first step was to put the XJ on jack stands and remove the front tires. 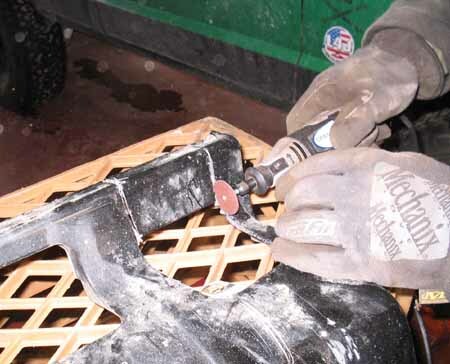 This step is not mandatory, but is highly recommended and gives you allot more room to work. 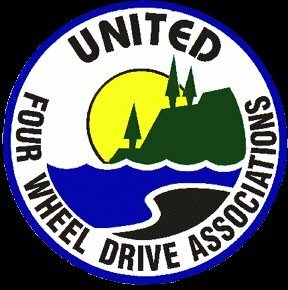 Secondly, remove the bumper end caps (unhook the fog lights), bumper, bumper brackets, and front skid plate (if applicable). 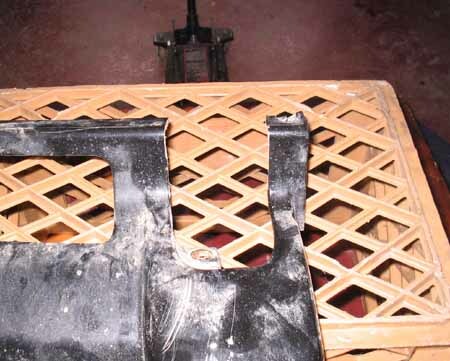 Remember to remove the hose from the vacuum canister before removing the front bumper. Picture: End caps and bumper are removed. Skid plate and factory bumper brackets need to come off. Install the L-Bracket on the inside of the unibody rail with the bolts, nuts and washers provided. The back side is very tight and it takes a steady hand to place the nuts on the bolts. The longer frame rail bracket goes on the outside rail, and is sandwiched by the factory bumper bracket (i.e. it goes on top of the frame rail bracket). Slightly tighten the bolts; you'll need to take the whole thing apart in a moment. Picture: Frame rail bracket installed with factory bumper bracket on top of it. We had to cut a small notch on the factory bumper bracket in order for the tow hook's forward bolt to fit properly. 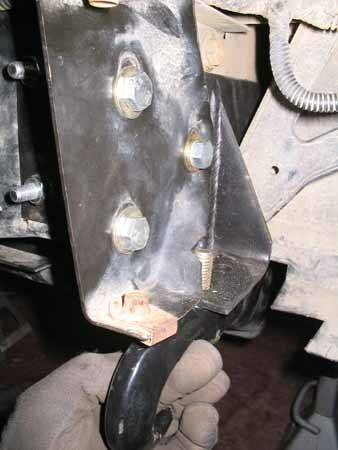 Mark the placement of the bolt and remove the factory bumper bracket. Take it to the bench grinder and cut the notch. Check for fit. Do this on both sides. If the front bolt fully inserts without hitting the factory bumper bracket, tighten all of the bolts to gorilla specifications. If not, cut the notch bigger. Congratulations if it fits without grinding. Picture: The factory bumper bracket has been notched. Re-install the bumper, then install the tow hooks (remember to hook the vacuum hose up). 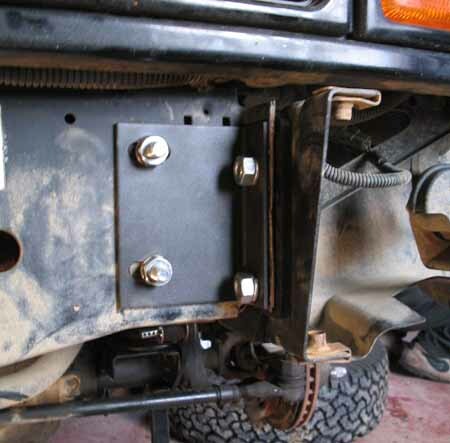 The tow hooks utilize two bolts, washers and locking nuts. If you followed the procedure listed above you should have no issues installing the bolts for proper fit. We then re-installed the skid plate. 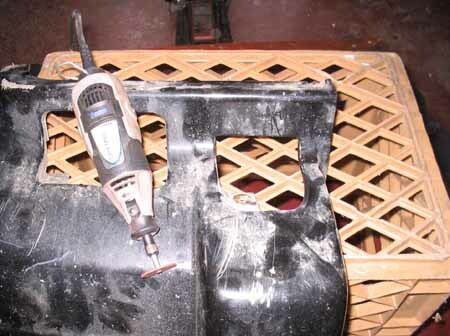 A portion of the skirt on the bumper end caps needs slight fabrication. We used a Dremmel tool to cut a section out so the tow hooks would fit. You will be unable to put a tow rope on the tow hooks if you do not cut the end caps. The pictures tell the story. Pictures: Before, during and after shots of the end cap fabrication. Due to normal wear and tear, I was missing a couple of bolts from the bumper assembly. Steve had extras on hand from his old bumper, so we replaced what was missing. Finish the install by re-installing the bumper end caps, hooking up the fog lights, putting the tires back on and removing the vehicle from the jack stands. I've yet to test the tow hooks and actually hope not to have to use them, but I have them if the time should come. I feel that they will be quite sufficient if used properly. Thank you Steve, a.k.a ThePhantum for your help and the use of your garage.